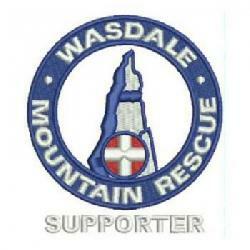 The alarm was raised at Blacksail Youth Hostel by a walker who could hear shouts for help in the Blacksail Pass area. As this is on the boundary between Wasdale and Cockermouth teams both attended. On arrival at the pass it was apparent there were no longer shouts for help and a search of the crags on Kirkfell by Cockermouth team failed to reveal any trace of people in trouble. We subsequently spoke to other walkers who confirmed there had been shouts in the area around mid-morning but they were less certain whether help was needed. We presume whatever problems were being experienced they were resolved by the people themselves who made their own way off the fell, unaware of the later interest in their whereabouts. Well intentioned false alarm. Incident closed around 5.00 p.m. 14 Wasdale members involved.